Educators have long realised the value of having a tool in which they can interact and display information for students. Blackboards turned into whiteboards, and then overhead projectors were brought in. Interactive Whiteboards were a sign of future but projector quality always meant they are not a viable long term solution. The future has now arrived with fully Interactive Touch Screen Displays. 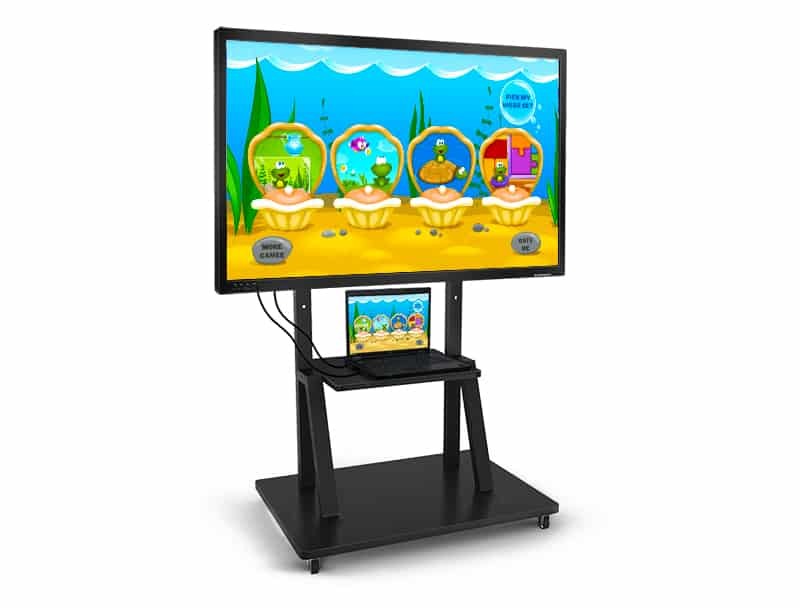 Purpose built for the classroom, an Interactive Touch Screen offers so much more than what was available before. The lighting of the classroom use to greatly affect the projection quality. If a classroom had a lot of windows then content could hardly be seen when using projectors. In contrast, the frosted front on the Touch Screen diffuses the light, not reflect it. An LED backlight also means Interactive Touch Screens offer vastly superior image quality and no irritating shadows either. In a modern world full of smartphones and tablets young children are getting acclimatised to using touch technology. This knowledge can be transferred to education. There are many apps and flash educational games available to make this worthwhile. Below are examples of a maths based fraction game and an English punctuation app. You can use a finger, stylus or mouse to interact with the Interactive Touch Screen and with up to 6 different touch points it means that multiple people can use the screen in a group activity with the screens infrared technology. An Interactive Touch Screen also makes it possible for notes or brainstorming sessions to be saved to a computer. Anyone wanting to control the screen can do so by directly linking a laptop to one of the front facing HDMI or USB ports. You could also invest in an internal PC that means a laptop does not have to be connected to the whiteboard for the screen to function. Classrooms have constantly been evolving trying to find the best tools to help educate the next generation. Now the technology is in place to finally offer a substantial piece of equipment to use in the classroom to fully engage with students.